When you make a deal with the devil, all sales are final. In the German legend Faust, a successful scholar who yearns for earthly pleasures, calls upon the Devil to bestow him with powers that will luxuriate Faust’s desires for worldly delectation. The Devil, being the busy man that he is, sends his intermediary Mephisto, and a 24-year deal is struck that will grant Faust his earthly wishes, as performed through the sorcery of Mephisto – in exchange for Faust’s soul. This trope has had as many variations in literature, cinema and television, as the Devil has names: Damn Yankees!, The Picture of Dorian Gray, The Devil and Daniel Webster, The Queen of Spades, Angel On My Shoulder, The Twilight Zone (Escape Clause, Printer’s Devil, Of Late I Think of Cliffordville), Rosemary’s Baby and The Mephisto Waltz to name a few – with both the former and the latter exploring the darker, more macabre elements of the Faust conceit. 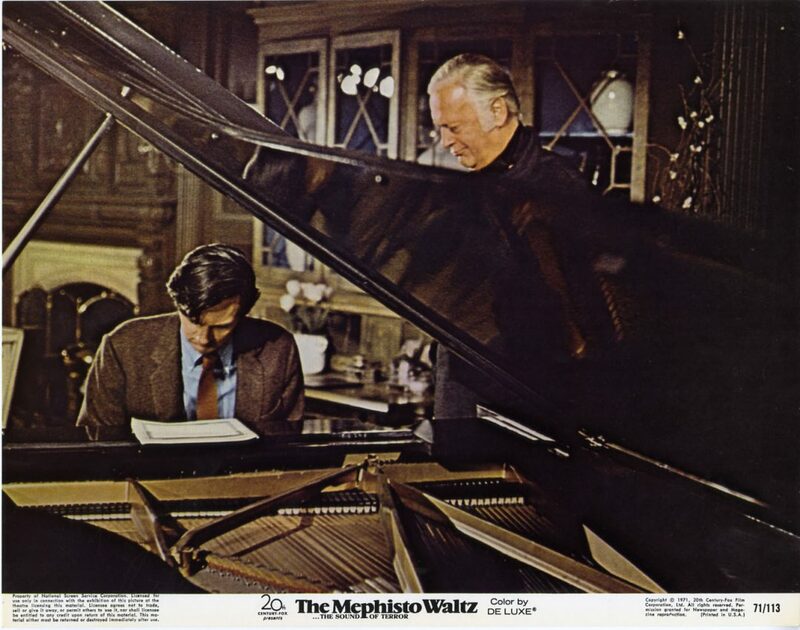 Failed pianist turned music journalist, Myles Clarkson (Alan Alda) is summoned to interview the self proclaimed greatest living pianist Duncan Ely (Curd Jurgens) and after some halfhearted small talk by Duncan, he becomes quite taken with Myles’ hands – even calling for his mysterious and seductive daughter Roxanne (Barbara Parkins) to examine them. “He has great hands. Rachmaninoff hands.” Duncan invites Myles and his devastatingly beautiful wife Paula, in a sublime performance by Jacqueline Bisset, to join his erudite, self important, social elite inner circle for a dinner party – where pieces of conversations about God and Satan can be heard as the camera moves slowly down the elaborate dinner table. After some drinks, Myles is coaxed into performing a duet with Duncan, and is showered with compliments and affection from Duncan’s guests – as his wife Bisset looks on with a skeptical eye of the entire scene. Things begin to come into focus, as we discover that Duncan is dying of leukemia and involved in an incestuous relationship with his sultry daughter. Looking to extend their love by way of Myles’ body, the two have found their mark in Alda, and commence to using their satanic worshiping machinations to switch Duncan’s soul into his (he has great hands). 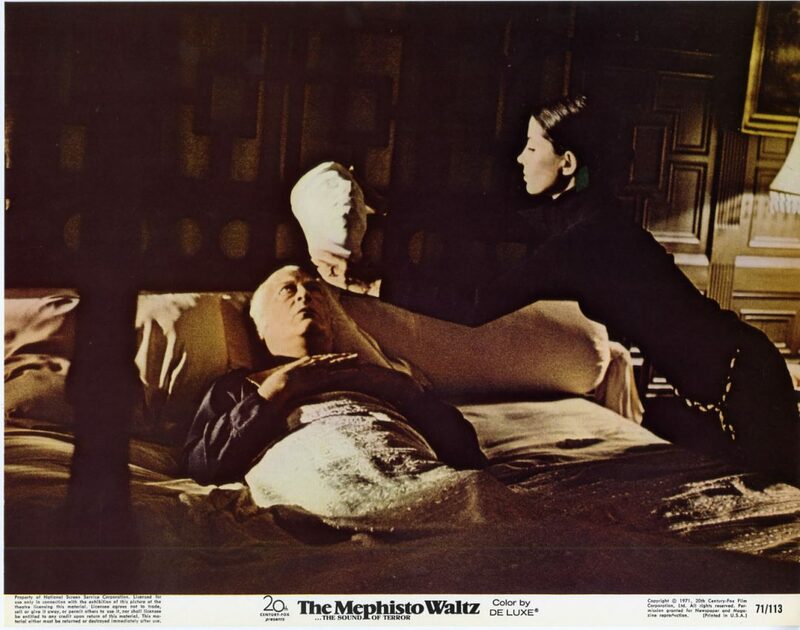 Unlike Rosemary’s Baby, in Mephisto it is the husband who is the victim. With the Freaky Friday like transformation, Myles has a personality renaissance (think of a more sophisticated Jerry Lewis after taking his potion in The Nutty Professor) and with that, Myles has the concert pianist career he had always dreamed of. Bisset senses there is something dark at work here, and when her haunting dreams (including the death of their daughter) turns out to be moments of fragmented reality, she embraces the satanic world that her husband unknowingly walked into, in order to exact her own revenge and make sense of the tragedies that have befallen her family. 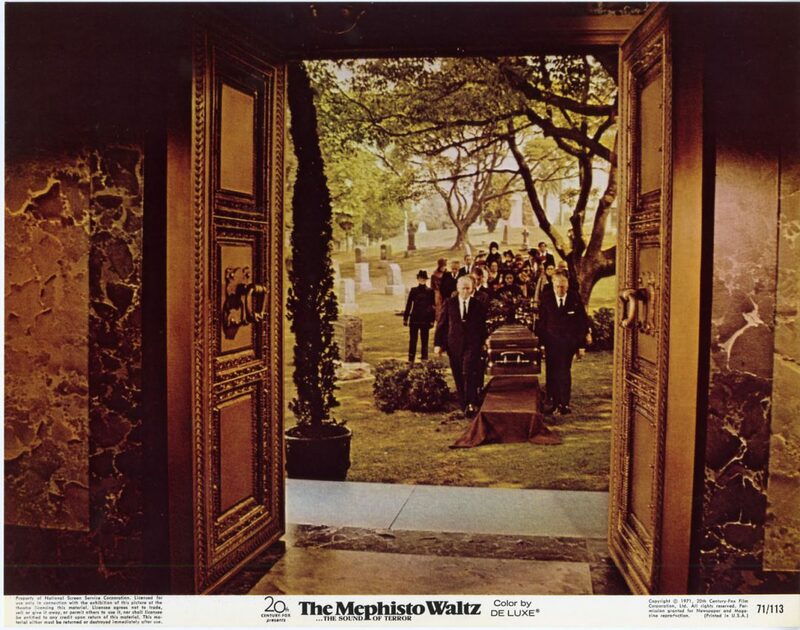 The Mephisto Waltz is not Rosemary’s Baby. What is? It does, however, have the tells of a skilled forgery that stands on its own – with Bisset and Barbara Parkins vying for the soul (or whatever is in Myles) and love of Alan Alda. Alan Alda?! How did a pre-Benjamin Franklin “Hawkeye” Pierce wind up sharing the screen with these two sirens? Seriously, you’ve got to go a long way to find two more stunning women onscreen than Parkins and Bisset. In fact, I’m baffled that Bisset didn’t flat out own the 1970’s with the beauty and intelligence that emanated from her inquisitive stare. 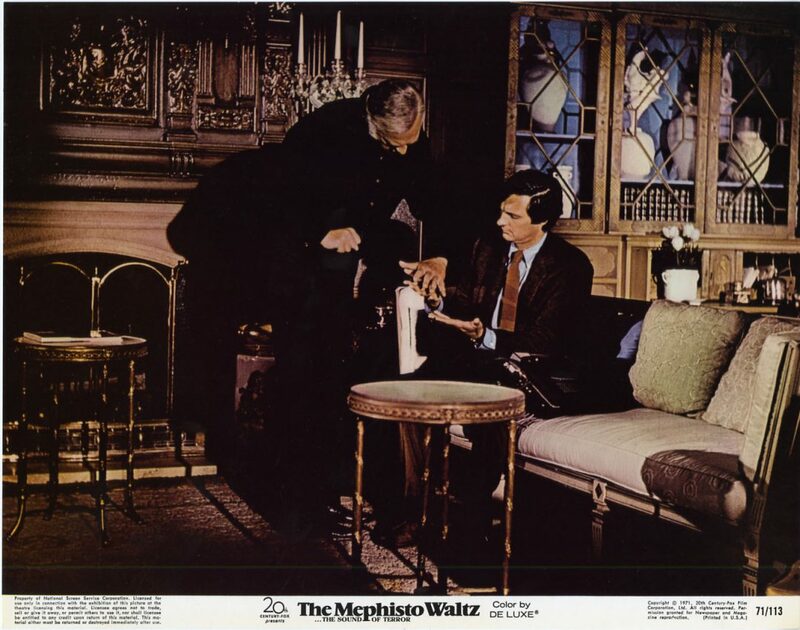 The Mephisto Waltz was producer Quinn Martin’s only foray into film, having had a Midas touch career in television, with his QM Productions company that was most notably responsible for: The FBI, The Fugitive, The Streets of San Francisco, and Barnaby Jones. In hindsight, as far as Martin’s one and done interloper experience in film goes, The Mephisto Waltz has a trance-like, psychedelic quality to it. It was made at a time when Hollywood was dabbling in Satanism, hey, it’s a tough town to catch a break, and credit director Paul Wendkos for capturing that era. There is a dark, creepy score that ratchets up the thrills by Jerry Goldsmith (the one and only) along with some camera work that takes you on a head trip through this unholy world. 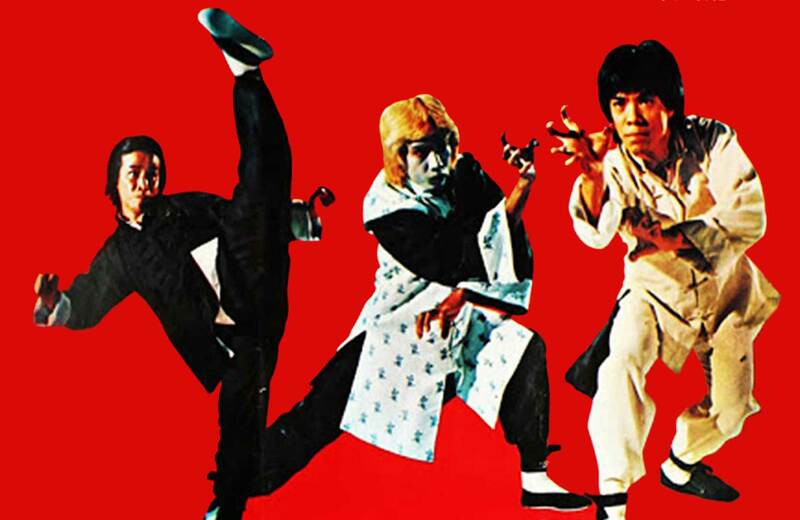 Call him what you will: The Devil, Satan, Lucifer, Beelzebub, The Prince of Darkness, or Old Scratch, but if you’re lucky enough to catch The Mephisto Waltz at the New Beverly Cinema, you will find that when the dark one makes a deal – all sales are final.